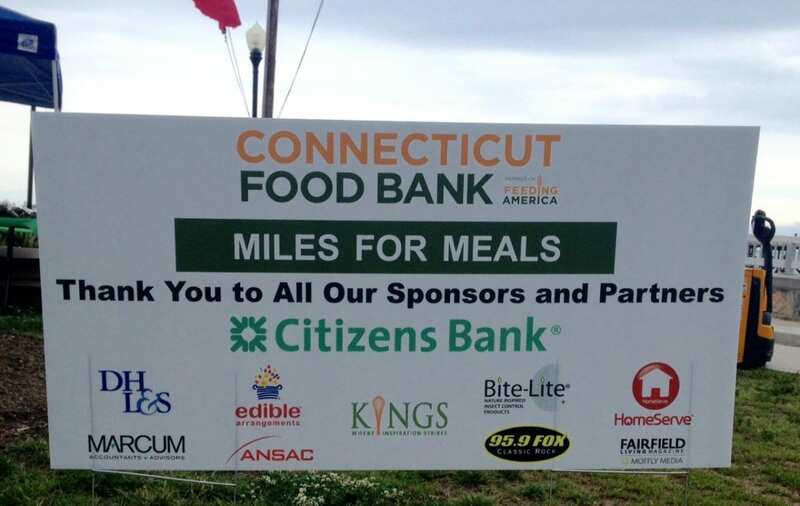 With 10 sponsors, including Bite-Lite, plus 225 preregistered runners, the Connecticut Food Bank raised $45,000 during its inaugural Meals for Miles road race on June 5th. That amount will feed 4,500 people for a week, said the Food Bank’s Philanthropy Officer Cheryl Thompson. Of those who registered, 216 finished the rainy 5K course in Norwalk, CT. The other sponsors were Citizens Bank, DHL&S, Marcum, Edible Arrangements, Kings, 95.9 FOx, Home Serve, ANSAC, and Fairfield Living Magazine. Bite-Lite Nature Inspired Insect Control Products intends to continue its philanthrophy with the Food Bank’s next summer event in August, Hops for Hunger. We hope you’ll join us make the event a success for those in need of nutritious meals.